Located in the Aegean region of Turkey, Fethiye surprises its visitors with a plethora of activities and an amazing landscape that combines pristine waters with wonderful mountains. 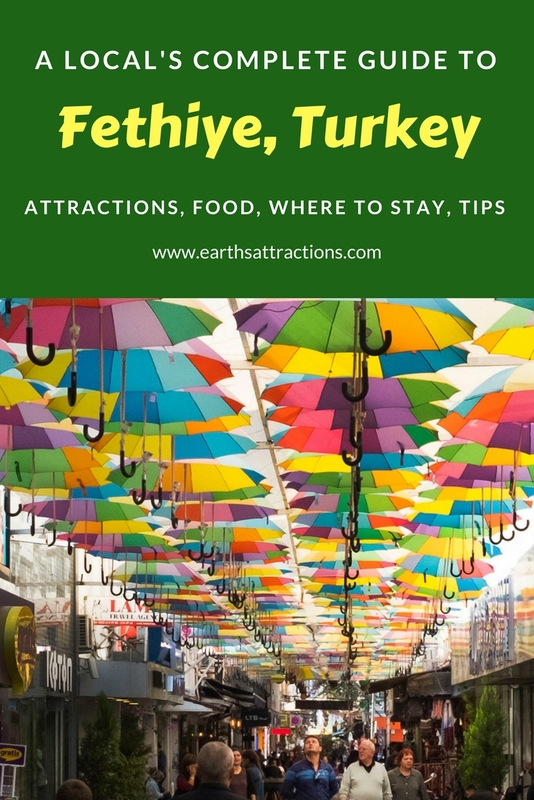 Here’s a local’s guide to Fethiye, Turkey written by Pascale from Slow Travel Guide. 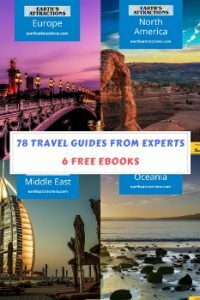 This complete travel guide to Fethiye includes the top attractions in Fethiye, off the beaten path things to see and do, where to eat in Fethiye, where to stay in Fethiye, and useful tips. Fethiye is a relatively low key destination along Turkey’s Turquoise coast. It combines a natural harbor (the perfect base for a gület cruise to the islands scattered along Fethiye bay) with a rich history and plenty of leisure activities. Fethiye has a vibrant nightlife during the summer months, and pine-tree clad mountains are bordering pristine beaches to while away the days. And for those looking for a more active holiday: it is also the starting point of Turkey’s first long-distance hiking trail: the Lycian Way. The Tomb of Amynthas is impressive, to say the least. 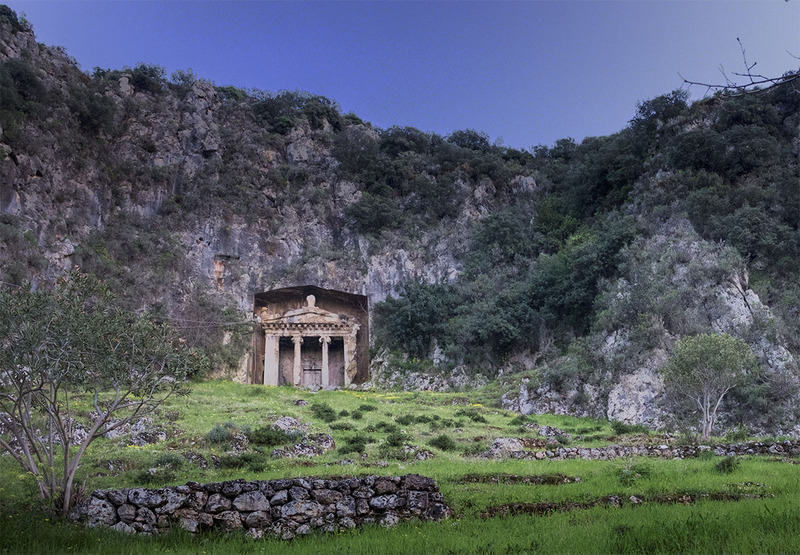 This Lycian rock tomb is carved into a rock overlooking the city and the sea. It is stunning from a distance and from up close. Granted, the many steps you’ll need to climb to make your way up add to the breath-taking experience, but it will be worth it. 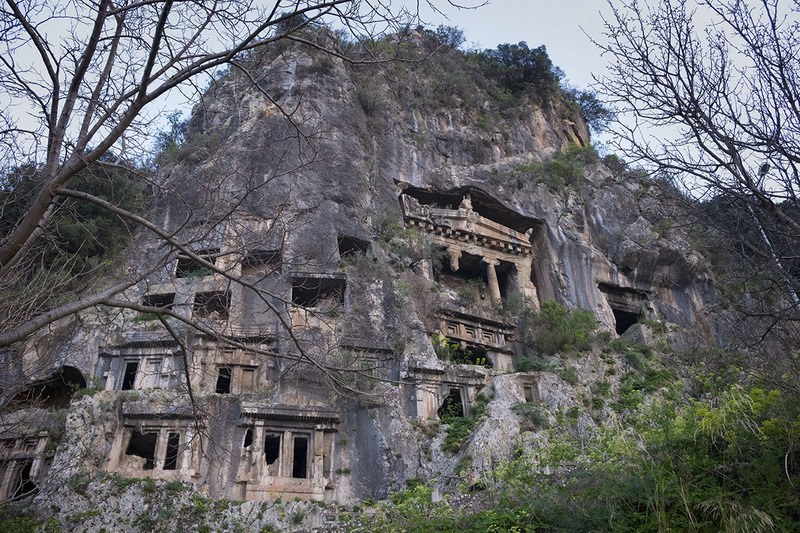 The views are incredible, the tomb mysterious and intriguing. The local museum is quite small and tucked away on a side street. 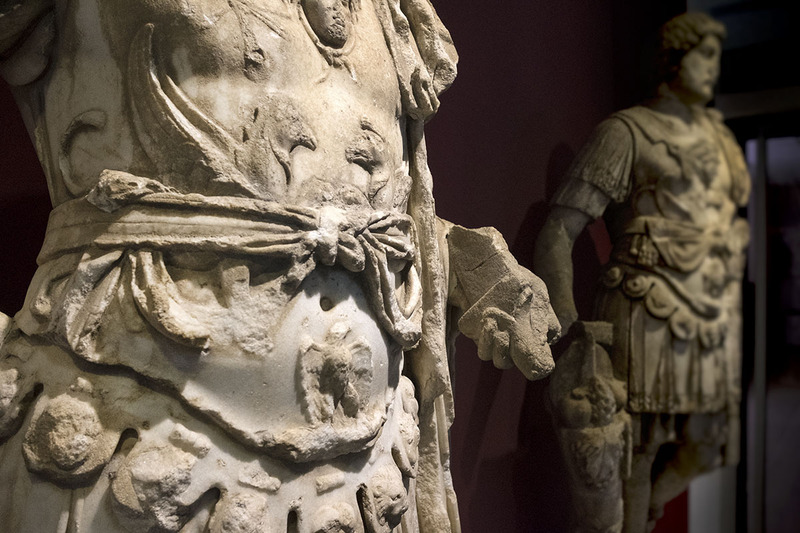 Still, you will be surprised to see the significant collection of historical artifacts it houses. 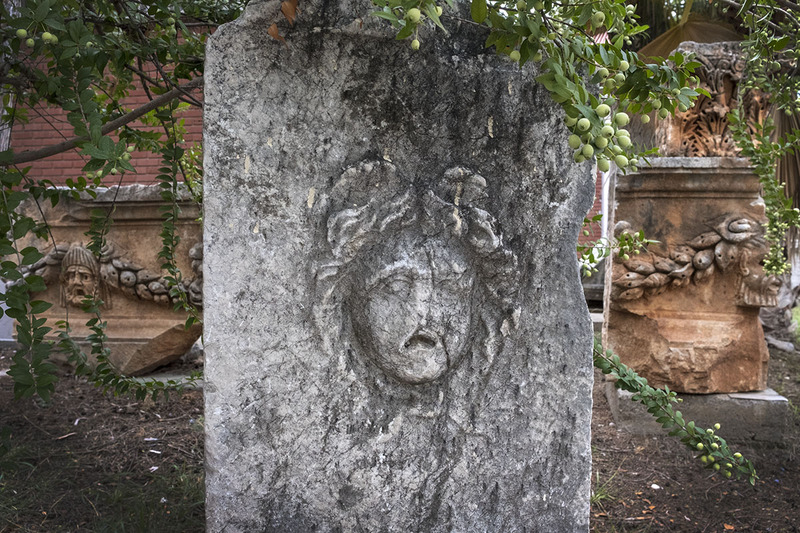 Statues, coins, jewels and pottery recovered at one of the many ancient and protected sites in the Fethiye area are removed from the sites and exposed at Fethiye Müze to protect them. The Amphitheatre is undergoing restorations and the plan is to use it as a venue for concerts and events after that. 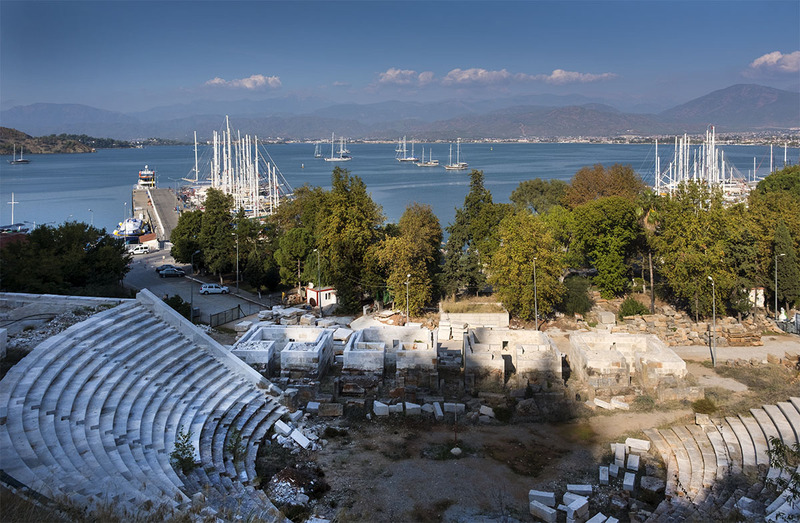 One can only imagine what it must be like to attend a concert or play in this ancient theatre overlooking the sea. 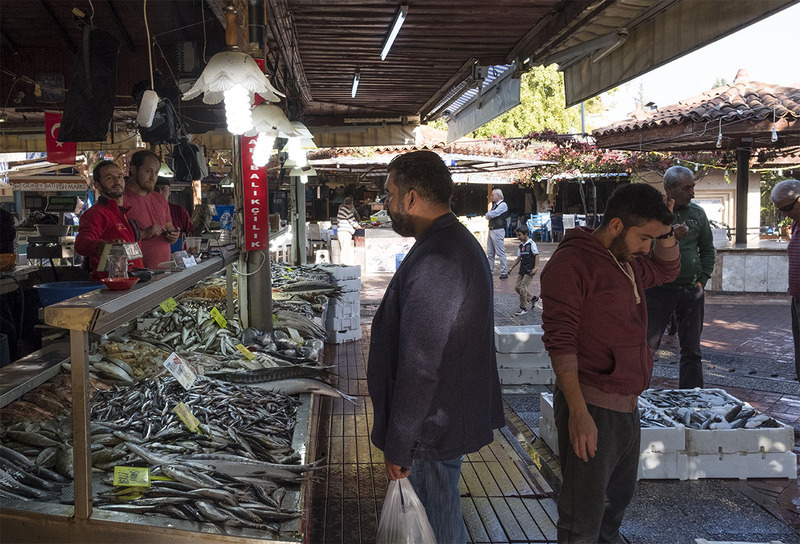 This market is a great place to visit, even if you don’t like fish. Fishers are selling their catch of the day in the central area, while the restaurants surrounding the vendors are waiting to prepare whatever you’ve bought. 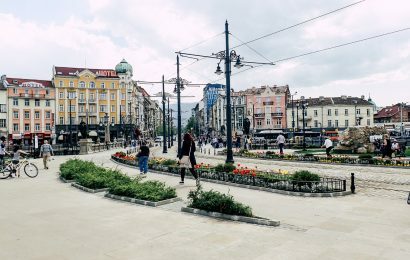 It’s a place buzzing with activity and local color. 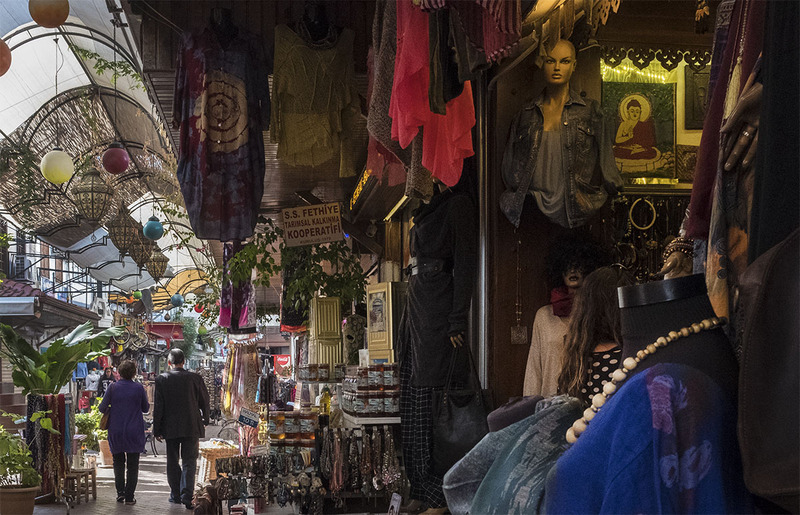 The Paşpatur area of Fethiye is a network of narrow streets with shops, bars, and restaurants. The old houses have been converted, but the spirit of the old town lives on. This is the heart of Fethiye and a busy place, especially during the Summer months. Most of the bars and shops in this part of town are closed during Winter months. 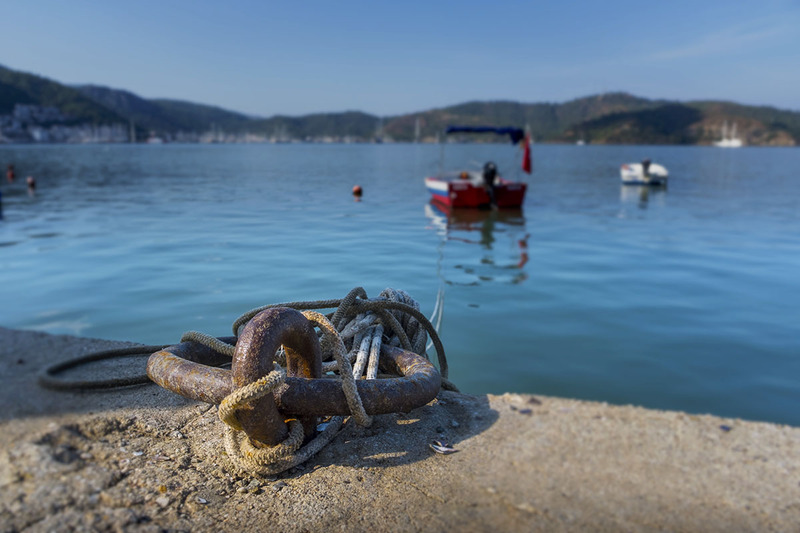 If you like to venture off the beaten path, then walk part of the Lycian Way. This long-distance hiking trail takes you along charming and authentic villages, pine forests, pristine beaches and ancient sites. Or rent a bike or a quad and take a ride to the protected area right past Fethiye marina. The coastal path offers stunning views and has many secluded beaches and some state of the art beach clubs. A bit further afield you will find Gemile beach. A real gem right across Saint-Nicholas island. Just ask one of the boat owners to take you to the island for a small fee, and you will instantly feel like Robinson Crusoe! There is no shortage of restaurants for all styles and budgets in Fethiye. 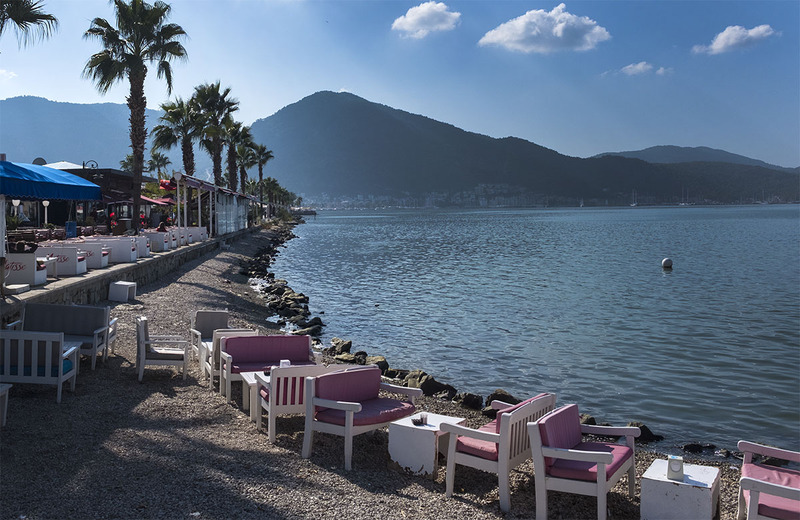 The long promenade houses plenty of eateries and our preferred ones on the promenade are Boğaziçi Restaurant where they serve an extensive Turkish breakfast at an unbeatable price, and Çarıklı Et Restaurant or Mancero Kitchen, both famous for their meat dishes. Those last two are a bit pricier according to Turkish standards, but still very affordable. 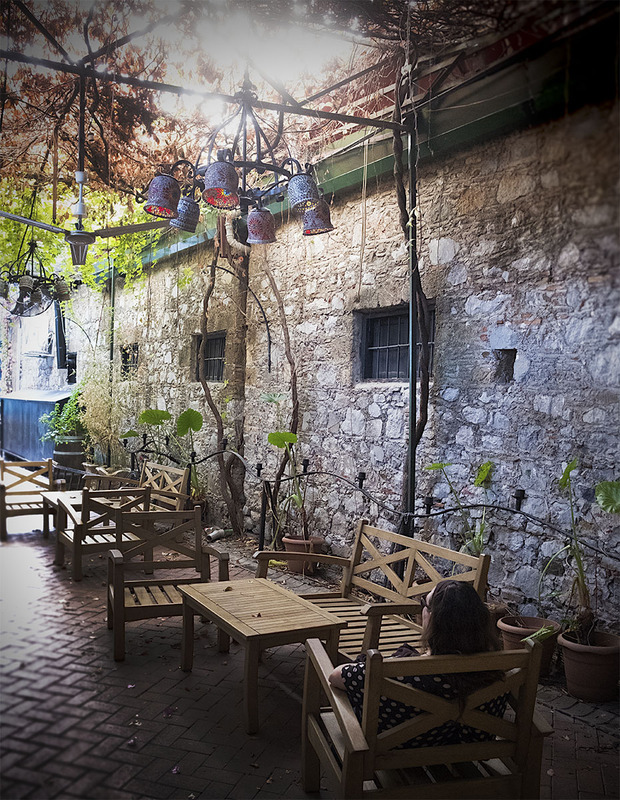 Away from the Kordon (promenade), you’ll find Kukina Caferia in the umbrella street, serving an eclectic Mediterranean/Turkish cuisine with the most delicious home-baked bread with olives and herbs. And don’t forget to have dessert, their magnolia puddings are to die for! 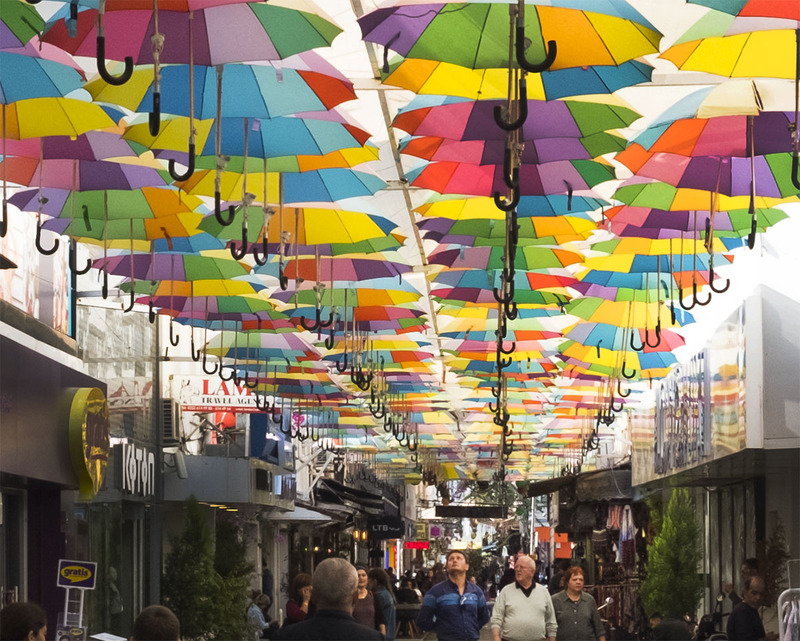 If you are looking for typically Turkish and very affordable, head towards the Otogar (bus station) area and look for Konya Mevlanısı. Ask for an etli ekmek (literally translated: meat bread) You’ll get a meter long very delicate pizza like dish with some mincemeat on it. Beware: it’s delicious! In Fethiye, you’ll find any accommodation you can think of. From big all-in hotels, over smaller boutique style hotels to hostels and camping or glamping facilities. If you prefer to be in town, Yacht Boutique Hotel is an excellent choice. The hotel is not too big and right on the waterside. Fun fact: Russell Crowe and Daniel Craig both stayed at this hotel while filming in the Fethiye area for respectively the Water Diviner and Skyfall. At the famous blue lagoon in Ölüdeniz, you’ll find peace in Jade Residence or Beyaz Yunus Hotel. If you prefer lots of facilities and all-in service, then Liberty Hotels Lykia may be what you are looking for. This hotel has different concepts and buildings. You’ll even find an adults-only part in this hotel. For camping, glamping or yoga retreats, head to Faralya! Fethiye is a tourist hub, especially during the summer months. 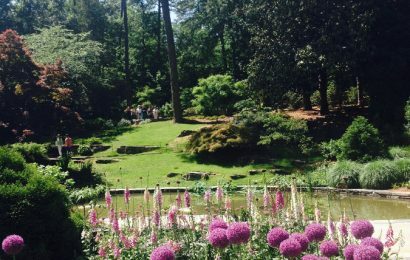 Still, if you take your time, you’ll find plenty of quiet areas to relax and unwind. 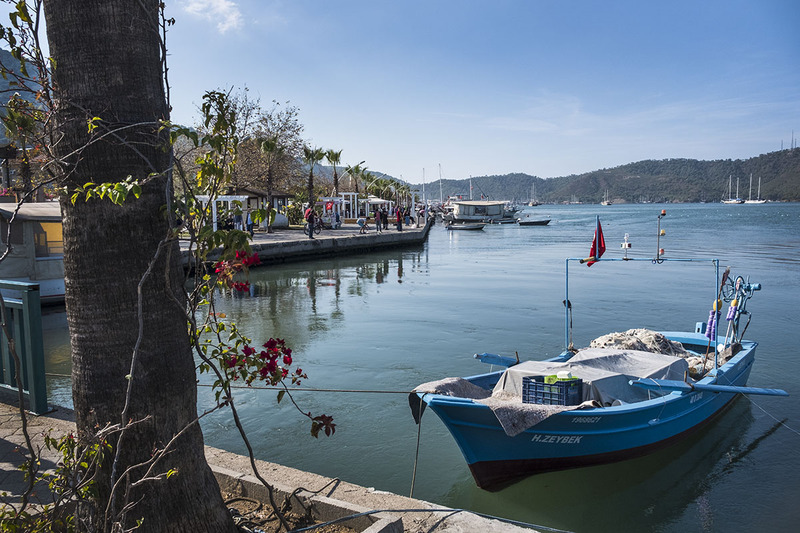 Out of season, life goes back to its regular pace and Fethiye is still an attractive place to visit if you don’t mind the fact that only a few hotels, restaurants and shops are open. The bonus you’ll get is that you’ll have the beach all to yourself most of the times and you’ll get to see the area in all its natural glory. 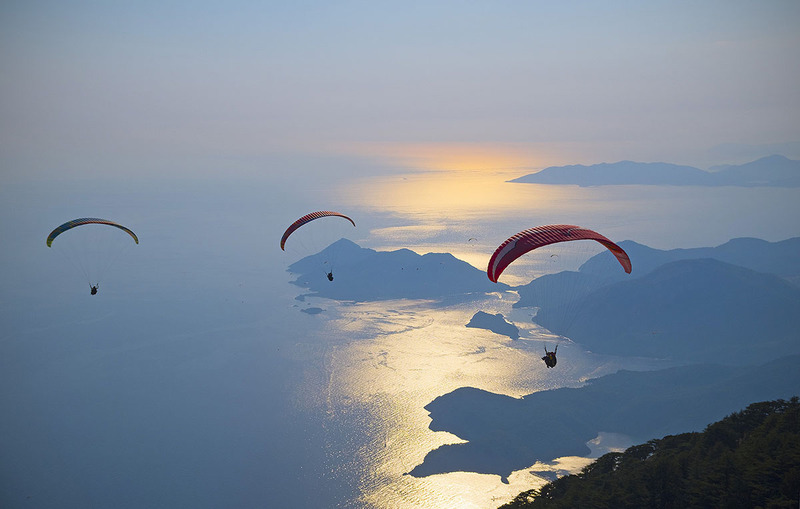 Even in Winter, it is still possible to take a tandem paragliding jump off Mount Babadağ. And you’ll see the snow-covered Taurus Mountains from your beach spot. In short, Fethiye has something to offer to all kinds of travelers. Whether you like jumping off mountains with a paraglide, swimming in the turquoise waters of the Mediterranean or take a dive into the rich historical and cultural past of Turkey, you’ll be in your happy place in Fethiye. Pascale is the heart and soul of Slow Travel Guide. She’s a copywriter, nature lover, blogger, and coffee aficionado. She likes all things slow and immersing herself into travels, stories, and life in general. Follow her Slow Travel adventures and tips on Facebook, Twitter, and Instagram. The Amphitheatre looks really cool. Fethiye is gorgeous. From the waters to the surrounding scenery it is paradise. 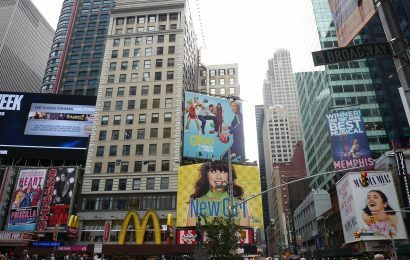 I wished to visit but me and my wife had to head home to the US with family stuff after we saw Istanbul, which was one of our fave cities on earth. The Turkish people are friendly, the food amazing and the culture is second to none, when you see the confluence of East and West, and many religions, in this region. Fab post!